e!Sankey is designed to draw one specific type of diagram: Sankey diagrams. 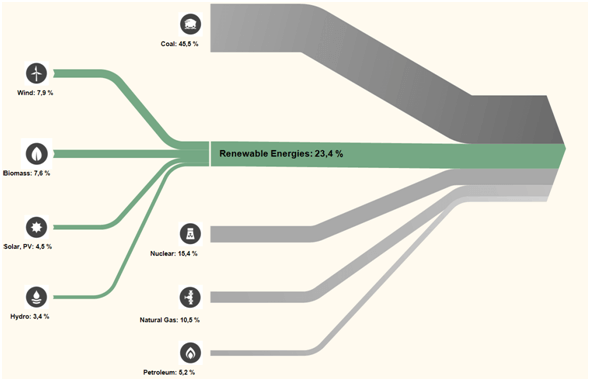 It provides all features and many different options to visualize energy flows and material streams as appealing flow diagrams. 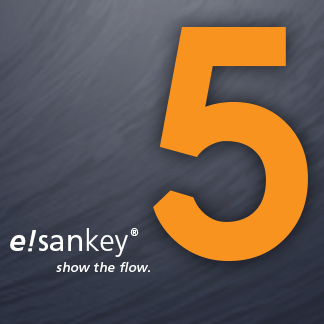 The correct width of the Sankey arrows is calculated and drawn automatically based on the flow quantities entered. 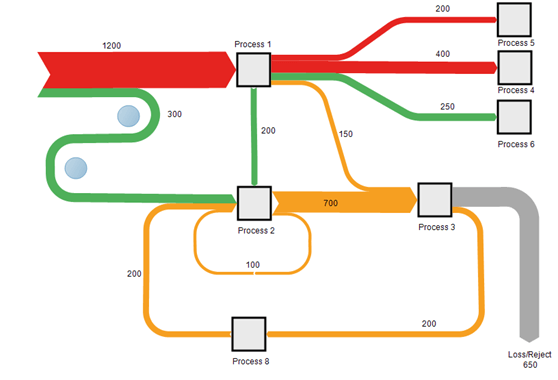 Proportionality and scaling of flows is ensured, even when elements of the diagram are moved. 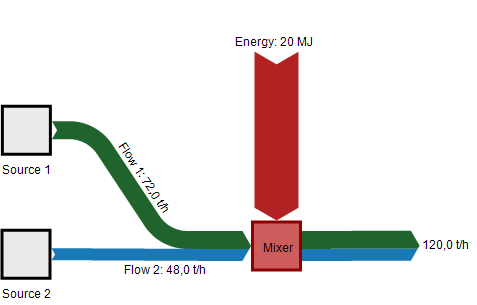 A label is created next to the arrow showing flow and flow quantity. It can, however, be adapted in many ways to match your individual style: adapt label font, rotate text, or choose a specific number format. Meeting your individual taste or existing corporate design specifications: there are many different ways to make your Sankey diagrams more appealing. Sankey diagrams get the message across, and they will make a lasting impression on your audience! When doing monthly reports, or regularly publishing flow data, it is often sufficient to just update the values in the Sankey diagram. 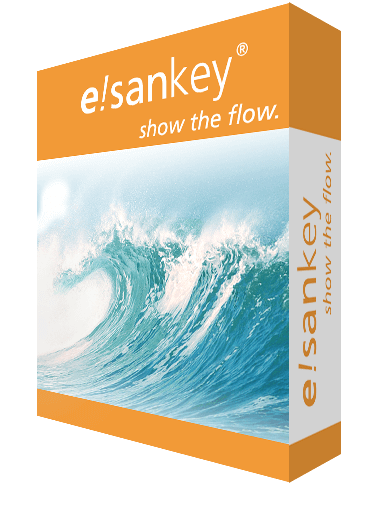 To this end the Live Link to Microsoft Excel can be used (only in e!Sankey pro version): Flows in the Sankey diagram reference into cells in a workbook. When these values in Excel change, the flow quantities are adapted and the arrows in the Sankey diagram updated accordingly. The new Sankey diagram can be printed, or exported as a high resolution graphic file in various formats (JPG, PNG, GIF, ...). By the way: this mechanism of updating Sankey diagrams with data fr0m external sources can also be automated using the e!Sankey SDK. This opens new possibilities to integrate Sankey diagrams in other software solutions, such as e.g. energy management software.